Wishing all a very Happy Lunar New Year. A favourite past time of people living in Singapore, eating! 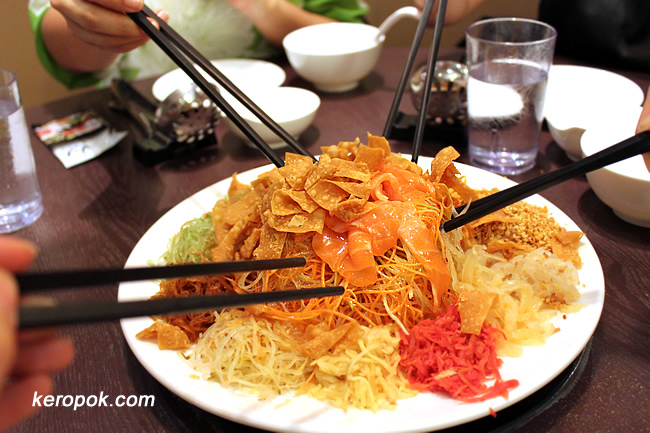 This is the tossing of Yusheng, a popular salad dish that's enjoyed very much in Singapore. With each toss, a phrase is uttered that brings forth blessings.